I want to filter my users (people) in a search by the Organization Unit. I'm not finding the field in the refiner webpart. Find the mapped property to the organization unit. In Search Settings> Search Schema> there will be many properties under people category.From that find the one matching your requirement and then use the mapped property in your refiner webpart. Not the answer you're looking for? 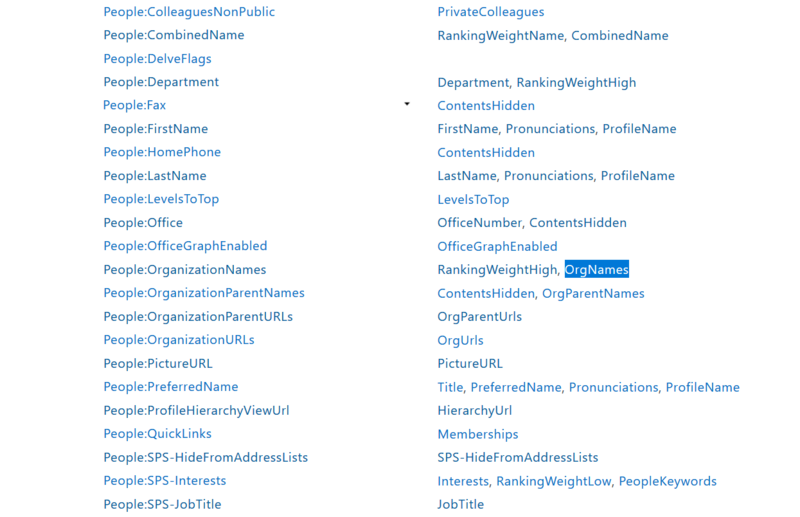 Browse other questions tagged sharepoint-online search people-picker people-search refiner or ask your own question.